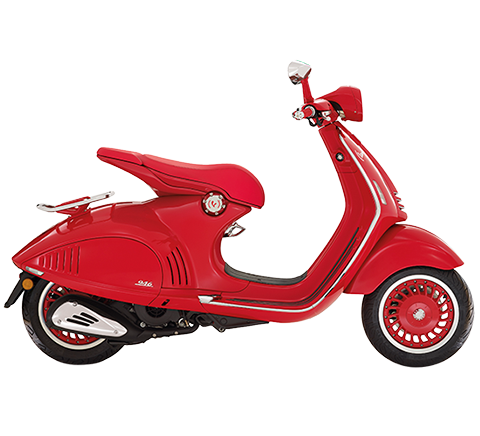 A year after the launch of the world's first hybrid scooter, Piaggio confirms its technological supremacy by presenting the 300 cc version of the Mp3 Hybrid, the most technologically advanced scooter in the world, which combines the strengths of a low environmental impact conventional internal combustion engine and a zero emissions electric motor. Piaggio Mp3 Hybrid has been given a bigger engine and more performance, to offer even more fun and rider enjoyment without losing out on any of the advantages of the revolutionary Plug-In hybrid technology, which can reduce fuel consumption and CO2 emissions by over 50%. Introducing the Mp3 Hybrid 300ie, the first and only scooter combining the advantages of an electric motor with an advanced 300cc petrol engine, offering pickup and acceleration comparable to a 400cc petrol scooter (figures calculated considering 65% use in Hybrid Power mode and 35% use in electric mode). A genuine technological marvel, the Mp3 Hybrid 300ie uses a sophisticated Ride-by-Wire system to manage throttle aperture for the internal combustion engine and is, to date, the only vehicle in the entire automotive sector to use lithium ion batteries together with Plug-In technology, for charging directly from the mains. Mp3 Hybrid 300ie is powered by the revolutionary hybrid drive system developed by the Piaggio Group - the first of its kind in the two-wheeled segment - combining the advantages of a petrol engine with the benefits of Plug-In technology. 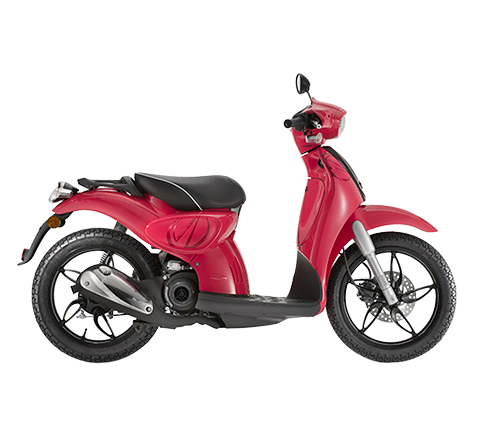 The new 300ie version of the powertrain offers performance in terms of acceleration and pickup comparable to a conventional petrol-engined 400cc scooter, making it the ideal solution for medium to long range journeys. Mp3 Hybrid 300ie is fun and surefooted on extraurban roads, where the superior dynamics of the Piaggio Mp3 come to the fore, but can also freely circulate in restricted traffic zones accessible to electric vehicles only: two scooters in one, for safe, simple, economical and fun mobility. Piaggio Mp3 Hybrid 300ie was designed and developed for maximum energy efficiency and eco-compatibility in both urban and extraurban usage: the areas in which air quality and environmental issues are more critical than anywhere else. Research conducted among GT scooter users in European metropolitan areas revealed that they travel on average approximately 30,000 kilometres in 5 years, or 6,000 Km per year, which translates to 30 Km per day over an estimated 200 days of usage throughout the year. On the basis of these figures, the innovative lithium ion batteries powering the electric motor of the Mp3 Hybrid have been designed to offer sufficient range for the average full day's usage of a scooter of the same class, even in Hybrid Power mode, which delivers uncompromised performance. A full charge of the battery pack, on the other hand, allows access to restricted traffic zones in zero emissions pure electric mode, with an autonomy of up to 20 kilometres. Hybrid Charge mode uses part of the energy produced by the petrol engine together with energy recovered during deceleration and braking to recharge the battery. The advantages of the Mp3 Hybrid over a conventional electric vehicle are clear: if a longer distance journey is necessary, the 278cc Euro3 engine offers petrol engine performance and – crucially – the extended range of an internal combustion engine. Meanwhile, should charging from the mains not be possible, the hybrid Piaggio scooter can run in Hybrid Charge mode, offering the added advantage of being able to recharge the batteries using part of the energy produced by the petrol engine and energy recovered during deceleration and braking. Energy recovery during braking and deceleration is always active on the Mp3 Hybrid, whatever the riding mode selected. It's almost as if Piaggio's designers had created two different scooters in one in the Mp3 Hybrid, which coexist in perfect synergy: one of which electric, for unbeatable ecology, the other petrol-powered, offering the peace of mind of extended range should your journey take your farther than usual. In terms of ecological performance – or fuel efficiency and low emissions – according to the EU homologation procedure, the Mp3 Hybrid 300ie produces CO2 emissions of just 65g/Km in the WMTC 2.2 cycle. In a typical urban cycle however, with two thirds usage in Hybrid Power mode and one third in pure electric mode, CO2 emissions drop to 40 g/Km, while fuel efficiency climbs up to a remarkable 60 Km/litre - an incredible result for a scooter with performance on a par with a 400 cc model. 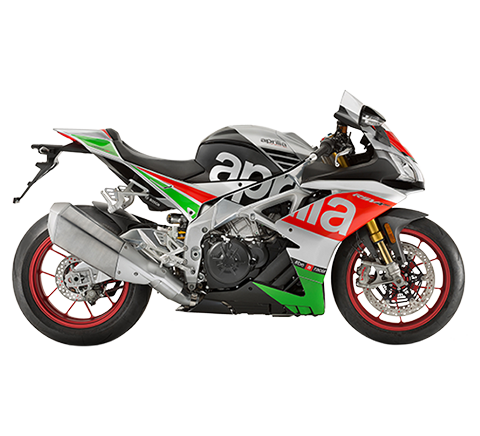 Piaggio Mp3 Hybrid uses a parallel hybrid drive system in which the two powerplants - an electric motor and an internal combustion engine - are integrated to work in concert and deliver power to the wheel simultaneously in an unbeatable synergy. 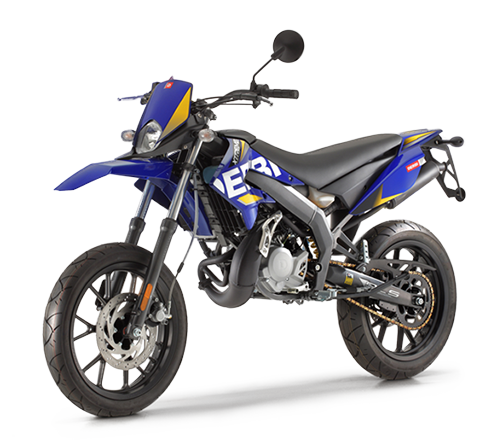 The internal combustion engine is a state of the art 278cc four-stroke catalysed Euro3 unit, offering excellent performance, low emissions and extended range. An automatic transmission, electric starter and the innovative Ride-By-Wire system electronic throttle system ensure sparkling performance and twist-and-go usability both in the city and on the open road. In Hybrid Power mode, during standing starts or whenever the rider calls for particularly brisk acceleration, the synergy between the two powerplants of the Piaggio Mp3 Hybrid 300ie means that the electric motor supplements the power of the petrol unit to provide a boost in performance of up to 30% compared with a conventional scooter with a similarly sized internal combustion engine: this translates to more immediate and responsive pickup during the first few metres - which is precisely where it is most needed in city use. In Hybrid Charge mode, as well as giving the scooter its impressive performance, while it runs, the internal combustion engine also recharges the batteries used to power the electric heart of the vehicle. In response to the signals received from the “Ride by Wire” throttle system, the on board electronics (VMS – Vehicle Management System) determines - in relation to the riding mode selected - how much power to draw from the petrol engine and how much from the electric motor to optimise both performance and consumption. This synergy between the two powerplants, achieved through integrated electronic management, not only offers better performance but also reduces fuel consumption - the Piaggio Mp3 300 Hybrid can return up to 60 Km/l, compared with an average of 30 Km/l for petrol scooters with similar sized engines - and CO2 emissions as low as 40 g/Km, which is substantially lower than the average of 90 g/Km for a conventional internal combustion engined scooter (figures for the Mp3 Hybrid calculated considering 65% use in Hybrid Power mode and 35% use in electric mode). But the Mp3 Hybrid 300ie is not just a sophisticated hybrid drive vehicle: simply press the button on the handlebar to disengage the petrol engine and turn the Mp3 Hybrid into a totally ecological scooter, a zero emissions vehicle that can circulate freely in areas restricted to internal combustion engines. By pressing the button again, the petrol engine comes back to life and resumes its role as the vehicle's primary powerplant, and, if Hybrid Charge mode is selected, charge the batteries while riding in areas open to normal vehicle traffic. 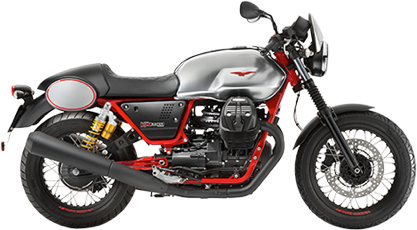 The rider can switch between the full electric and hybrid mode even while on the move. In spite of its extremely innovative, avant-garde technology, Mp3 Hybrid 300ie is still incredibly easy and intuitive to use. In addition to the normal controls, a special selector also lets the rider choose from four operating modes for the vehicle: two hybrid modes - Hybrid Power and Hybrid Charge - and two electric modes (including reverse). The hybrid modes (Hybrid Power for maximum performance and Hybrid Charge for maximised battery charge) have been conceived to allow the user to manage and optimise performance, consumption and battery charge capacity. In pure electric mode, the petrol engine of the Mp3 Hybrid is completely disengaged, turning it into a silent, zero emissions electric vehicle. 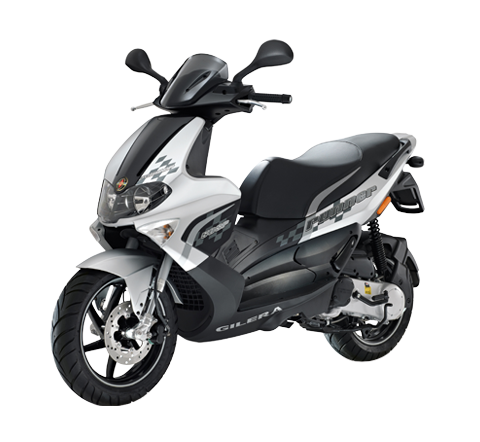 The Piaggio Mp3 Hybrid 300ie offers all same qualities in terms of safety and rider enjoyment as the rest of the Mp3 family. This means impeccable road holding, braking and stability in all road conditions thanks to the two front wheels and the exclusive quadrilateral front suspension layout. As with all the other models in the Mp3 range, the Piaggio Mp3 Hybrid 300ie also boasts an electronic front suspension lock system, which allows the rider to stop the vehicle without needing to put the feet down, and park without using the stand. While maintaining the same distinctive style and practicality of the Mp3 range, the Piaggio Mp3 Hybrid, is the world's first hybrid vehicle to combine Plug-In mains charging capability with innovative lithium ion batteries which – with their superior energy density and reliability – offer better performance, greater lightness and superior durability than any other technology in use today. The battery pack, with integrated control electronics, is hidden away in the compartment under the saddle, which still has enough room to accommodate a helmet and other objects. Inside the compartment there is even a practical 12V power socket for charging electronic devices. An indicator integrated into the dashboard lets the rider keep a constant eye on the battery charge level. The vehicle is charged easily and simply from the mains using a standard power cable plugged into the relative socket, either at home or at a public charging station, with the ignition switched off. The full charge cycle takes approximately three hours, although 85% charge is achieved in just two hours. Both the sophisticated lithium ion battery and the conventional service battery are charged simultaneously during the process. 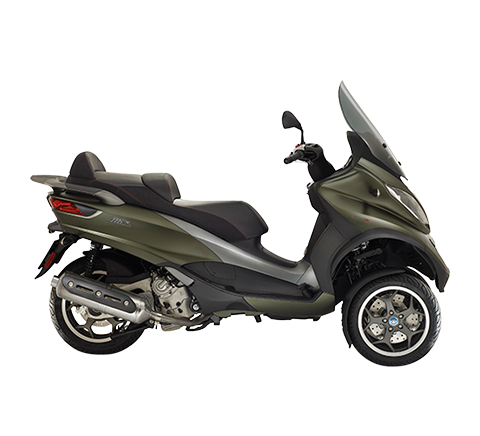 Visually, the Piaggio Mp3 Hybrid 300ie differs from its conventional siblings in a number of elegant trim details. The exclusive pearl white colour scheme is complemented by the elegant two-tone saddle, which offers plenty of comfort for both rider and passenger and echoes the paintwork of the plastic parts of the shield back plate. The instrument panel includes the battery charge indicator, while a centre panel accommodates the hazard warning light indicator, the on board computer button and the light indicating when the vehicle is connected to mains electricity to charge the batteries. Two new buttons have been added to the familiar controls: on the left is the horn, which is vital for warning others of the vehicle's presence when gliding silently in electric mode through restricted traffic areas, while on the right is the “Hy Tech” button, which allows the rider to select between the four different operating modes.